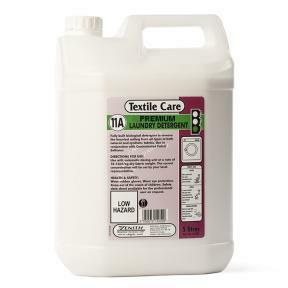 A fully built biological detergent formulated to remove the heaviest soling from all types of natural and synthetic fabrics. • Complex blend of surfactants, sequestrants, anti-greying agents and enzymes. • Suitable for manual or automatic dosing. • Excellent performance on a wide range of stain including blood and food stains. • May be used for cleaning fabric from hospitals, healthcare and all other establishments. • Advanced enzyme blend for optimal performance against blood and food stains.